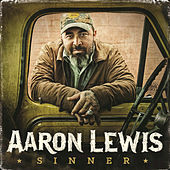 Years before dropping his solo debut, the Town Line EP, singer and guitarist Aaron Lewis rose to pop prominence as the frontman for Staind. Coming together in the mid-1990s, the Massachusetts-based quartet has racked up some of post-grunge's biggest hits, including "It's Been Awhile," the brooding anthem that utterly dominated modern-rock radio for most of 2001. In 2010, with Staind enjoying some rare downtime in between tours, Lewis decided to enter the studio and record a handful of tunes. Though he had struck out on his own with the 2000 single "Outside" (recorded during the Family Values Tour with Limp Bizkit's Fred Durst), the new material was a totally different beast. Released in 2011, Town Line found Lewis ditching riff-heavy hard rock for smooth country pop laced with pedal steel, vintage organ and Eagles-inspired harmonies. In a nod to country music's rich sense of history and tradition, the EP's lead single, "Country Boy," contains cameos from honky-tonk legend George Jones and irascible George W. Bush supporter Charlie Daniels. 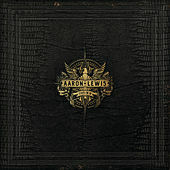 Despite testing the solo waters, Lewis has said on several occasions that Staind has no intention of calling it quits anytime soon.